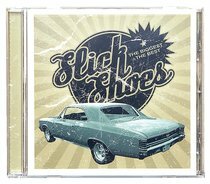 Slick Shoes may be strolling off into the sunset, but this compilation of their best songs will keep fans happy! This straight-out Punk-rock CD draws comparisons with Blink 182 and includes three brand new songs. About "The Biggest and Best"